Red Dead Redemption 2 has sold over 23 million copies globally, announced Take-Two Interactive, the parent company of Rockstar Games, on Wednesday. 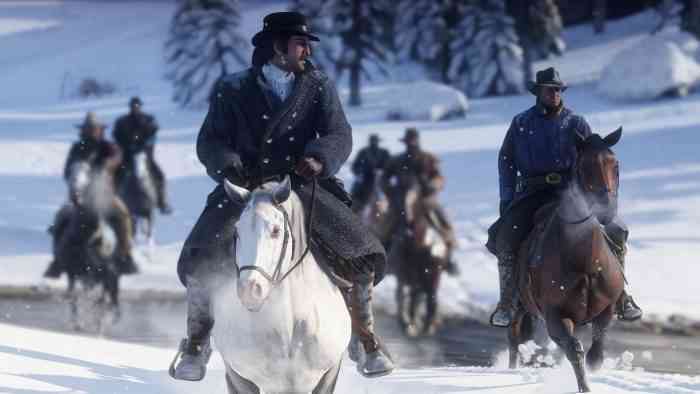 Last November, it was reported that the open-world Western game had managed to sell more than 17 million copies worldwide. Take-Two CEO Strauss Zelnick reportedly said during a Wednesday earnings call that player engagement for the Red Dead Online beta was encouraging but told Variety that he currently couldn’t predict that Red Dead Redemption 2’s online mode would reach the same heights as GTA Online. “It does seem that we are having more traction with Red Dead Online compared to GTA Online,” Zelnick told Variety. Red Dead Redemption 2 was met with critical acclaim when it launched last October and our review was effusive in its assessment of the game.